From the moment Chris Wilkinson walked on stage and then (unusually) proceeded to sit down on a lounge for his keynote address, I thought he would be an interesting speaker. It turned out, however, the reason he was sitting down was his bad back but it suited his laid-back yet confident delivery nonetheless. Established over 25 years ago in London, the firm of Wilkinson Eyre are probably best known for their iconic Gateshead Millennium Bridge but there is a greater breadth to the practice “striving for the beautiful idea” as Wilkinson presented. Wilkinson said he strives for “aesthetics, atmosphere and meaning” in projects where there is an ambiguity between art and science. And as Wilkinson noted, in order to make the art, you have to understand the science. Wilkinson Eyre’s understanding of the “science” is apparent in many of the projects presented, especially the series of bridge projects. Starting with the Gateshead Millennium Bridge, Wilkinson explained that the curved deck, acting as a horizontal arch, met the brief requirement of not establishing foundations on the banks of the river as well creating an accessible promenade. Two arches, one spanning the river vertically and the other is a horizontal arch, supported a series of cables, is the promenade deck. 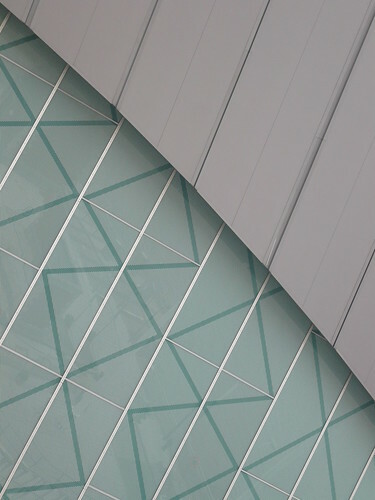 Both arches pivot around a pin joint which makes the structure look like an eyelid or helmet visor. This architectural metaphor reflects the art/science blend Wilkinson mentioned earlier. 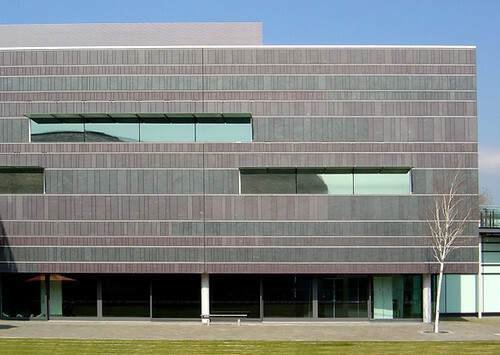 Wilkinson explained that he aimed to create cultural buildings that people wanted to go to rather than have to go and on basis he presented a trio of projects to meet that objective; the National Waterfront Museum in Swansea, Wales, the Mary Rose Museum in Portsmouth and the speculative the House of Human Rights in Milan for Amnesty International. Of these, the most intriguing is the project to display the Mary Rose – Henry the VIII’s flagship from 1511- to the public. Subject to 25 years of archeology and restorations, only half of the ship’s hull was preserved in river mud and Wilkinson’s proposition is to create a virtual mirror hull from (hopefully) cast glass. Over 18,000 objects pulled from the river will be displayed in this glass hull where the exhibition aims to capture a specific moment in time of Tudor England. The “composite” hull is enclosed by a large span shell-like shed which is clad in black timber panelling. 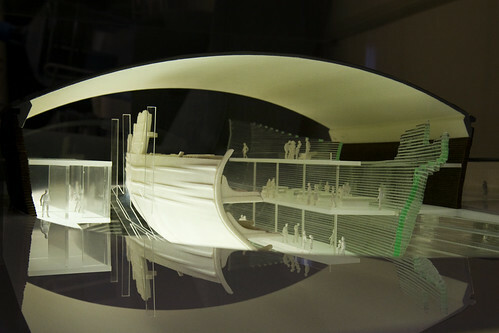 Wilkinson presented a range of bridges, of which the practice is justifiably well-known, including the Floral Street Bridge, London, the University of Limerick “Living” Bridge and the interactive “Challenge of Materials” Bridge at the Science Museum in London. Each bridge is a characteristic blend of art and science in response to context. 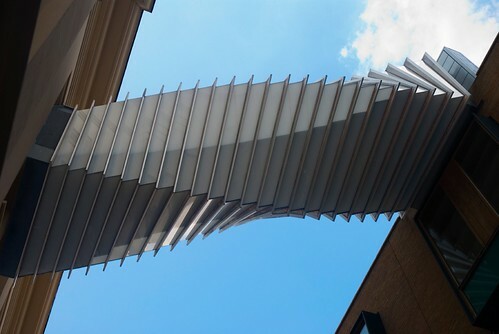 The Floral Street Bridge provides a discreet connection between the Royal Ballet and the Opera House for dancers and employs a square frame rotating using spiral geometry. Pre-fabricated entirely offsite, the bridge elegantly resolved the misaligned (in plan and section) heritage building openings. Wilkinson called it a “bridge of aspirations”. Indeed. 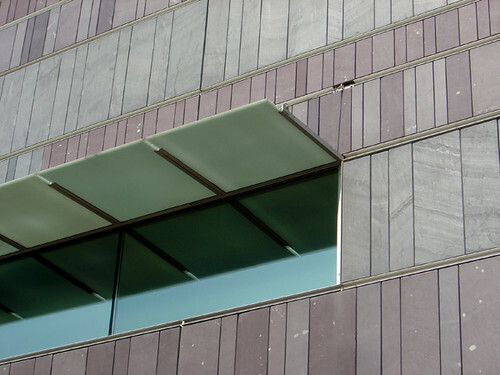 Whilst the Floral Street Bridge responds to context, the Challenge of Materials bridge responds directly to the user(s) by adjusting hundreds of 1mm wires supporting the 6mm laminated glass-on-edge deck according to the load imposed. The wires are connected to a stainless steel baseplate attached to a computerised load monitor. This amazing bridge paved the way for the Tensegrity Bridge, in collaboration with Cecil Balmond, proposed for the National Building Museum in Washington. Wilkinson ended his presentation discussing the “Complex Geometries” of the Liverpool Arena & Conference Centre, and the (unfortunately named) Guangzhou Twin Towers in China but neither of these large scale projects quite managed to elegantly blend the art of architecture and the science of structure as well as Wilkinson Eyre’s bridge portfolio.